Capturing Live Photos with the iPhone camera is a lot of fun, but when you share those moments with friends through Instagram or Facebook the “Live” aspect of the photo disappears and only the still picture posts to the service instead. Of course, we want to post the Live Photo the Instagram or Facebook, rather than just the normal picture, and that’s exactly what we’ll show you how to do. It turns out it’s really easy to post and share Live Photos to Instagram and Facebook, letting the Live Photo play as a video for anyone to see, just as they were intended to be seen. The great thing about this approach is it means that the recipient viewer does not need to have an iPhone to view the Live Photo, since they are basically videos anyway, and thus can be seen by anyone on any platform who views the Instagram or Facebook feed. 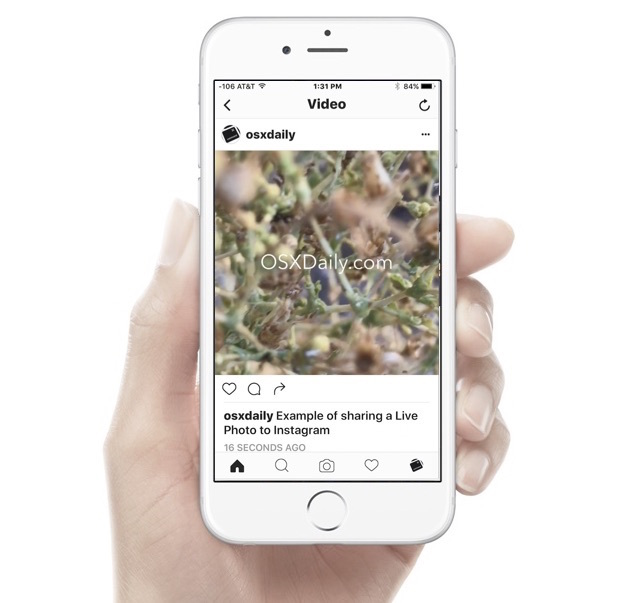 There are a variety of ways to accomplish posting a Live Photo to Instagram successfully, but we’re going to use a particularly great free app called Motion Stills from Google which allows you to adjust, edit, and convert Live Photos to videos and looping animated GIFs. The app has other uses too, including an excellent image stabilization ability, but for our purpose here we’re using it for exporting a Live Photo as a video which can then be shared and posted onto Instagram and Facebook to be played and watched by anyone. That’s all there is to it, the Live Photo will now be posted to Instagram and/or Facebook. 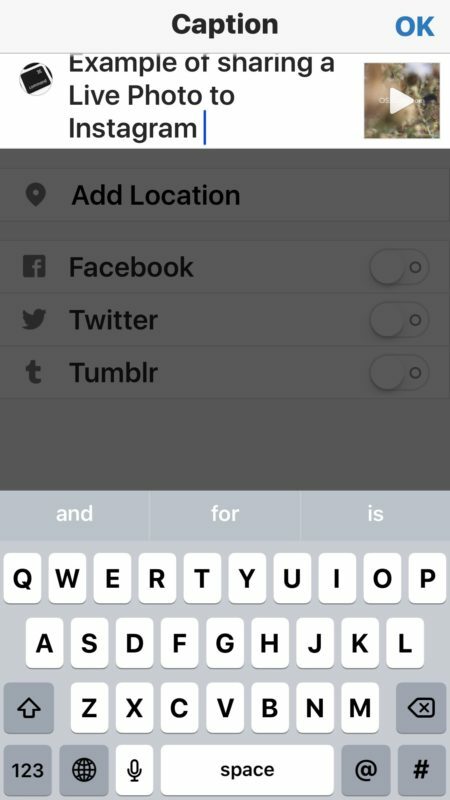 If you use Instagram you can also cross-post a Live Photo to Facebook by toggling the Facebook switch during the post creation. 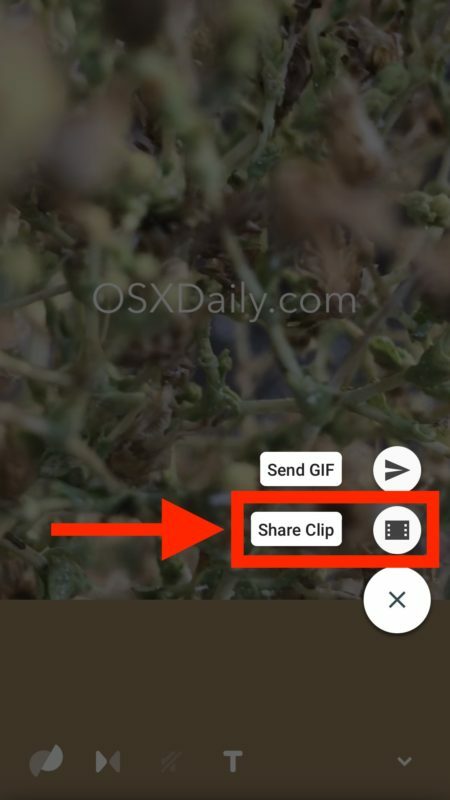 It’s important to note that you must save the Live Photo as a video and not as a GIF. 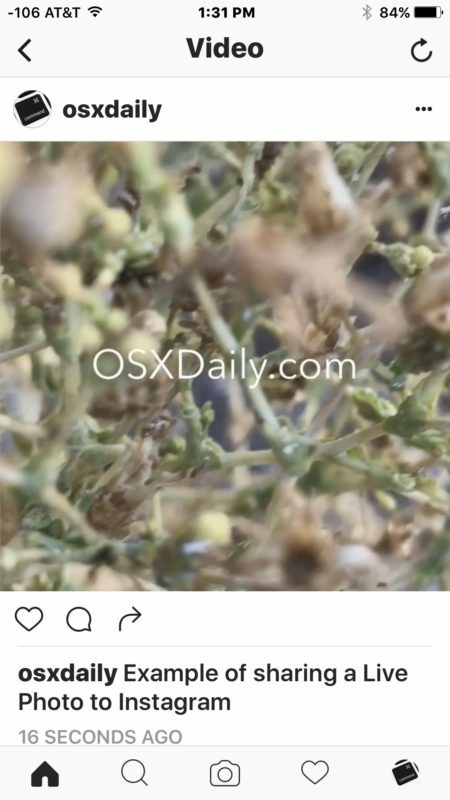 GIFs will not loop or play on Instagram (currently anyway) so use the Video option instead. With that said, Motion Stills can be used to create animated GIFs of Live Photos as well, which is quite nice, and those can be posted to Twitter, Facebook, Tumblr, or where ever else you want to share your Live Photos with the world. It’s also worth pointing out that you might need to convert a Live Photo from still back to Live Photo if you changed the picture at any point, or perhaps if you long ago removed the Live Photo you’ll need to just enable Live Photo on the camera and take a new picture. Presumably a future version of Instagram and Facebook will offer direct Live Photo posting support without having to save the Live Photo as a video first, but for the time being the method just outlined works great. Enjoy sharing your Live Photos with the world! There is another way: by importing to the goodreader app. 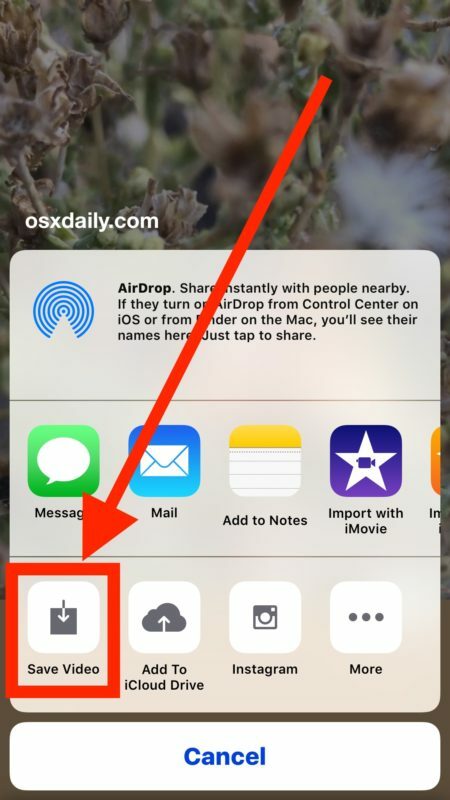 That way, it will appear in goodreader as a .pvt folder containing a jpg image and a mov video, allowing the video to be saved in the photos camera roll for later sharing. The only caveat is that, to see the “import to goodreader option”, I had to open the live photo from the imessages app after having sent it to someone else, not directly from the photos app. Cool, though my trial shows a watermark “Motion Stills” in the bottom right of my video clip. How can one removes the watermark for good? Ooopppps! 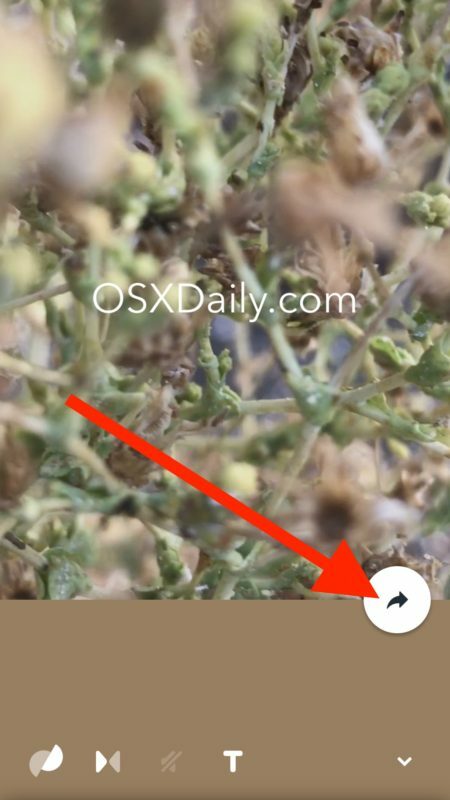 Found out how to remove watermark in settings. Awesome, thank you, Google.